Had a great interview on KPFK's Uprising Radio with Host Sonali Kolhatkar and Prof. Paul Preston. Sonali wrote a really great introduction about Spain's history and Prof. Preston was so articulate. 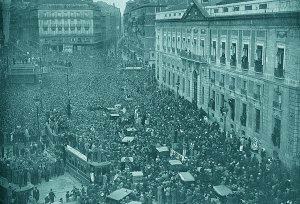 It was a very exciting way to spend April 14th, the 70th anniversary of the 2nd Spanish Republic. Here are some images from that historic day.